Asheville, NC nicknames; “Land of the Sky”, “Paris of the South”, and “San Francisco of the East” help describe the numerous faces of the city and the region. Each visit is an exploration where we leave with something new and fascinating discovered. 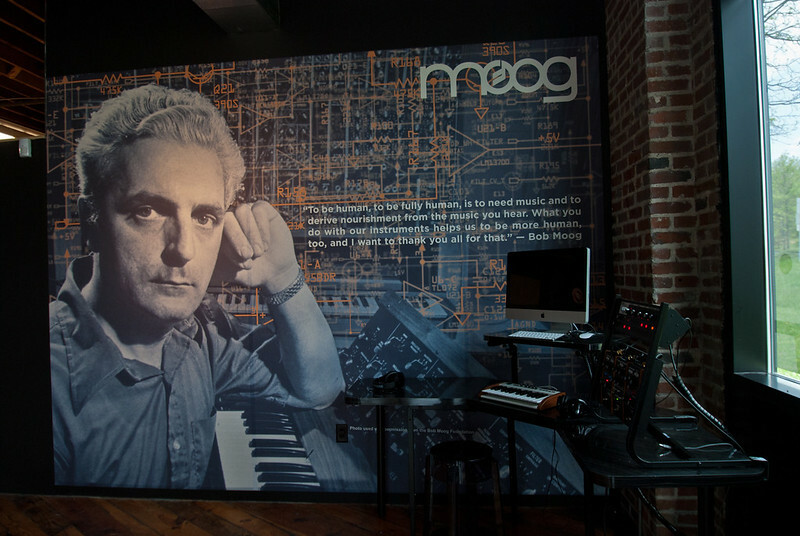 Robert Moog has his only factory in the US in Asheville, was the Director of music at UNCA, and was one of the most notable pioneers of electronic music, creating the first voltage-controlled subtractive synthesizer to utilize a keyboard as a controller. Rick Wakeman (Yes), Keith Emerson (Emerson, Lake and Palmer), Geddy Lee (Rush), Wendy Carlos (Switched on Bach), etc all are musicians who used Bob's tools to create music.